Buy I Need a New Bum! Use Rewards for I Need a New Bum! 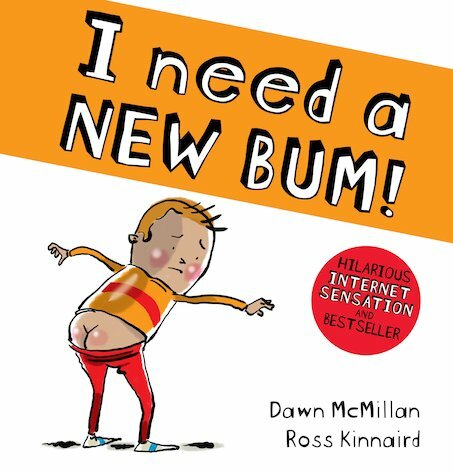 There’s a new web celebrity, the Scottish Granny, who reads funny children’s books online. Have you seen the viral video of her giggling at The Wonky Donkey? Well – THIS book made her laugh even louder! The kid in this story has a problem. His bum is broken. It’s got a huge crack! Oh no! He’ll need a new one – and this time, he wants the very best. So he sets off to find the perfect bum. But should he choose an armour-plated bum? A rocket bum? Or a robot bum? Only one thing’s for sure: his tale will crack you up – no ifs or butts about it!